Volunteering with us on Bali’s Nusa Penida island is a great way to learn about conservation and community development, and at the same time you get the chance to live among traditional communities on a beautiful island. Please note that we are not a commercial operation, all proceeds from guests are “donations”, and 100% of these donations is used to fund our conservation projects. 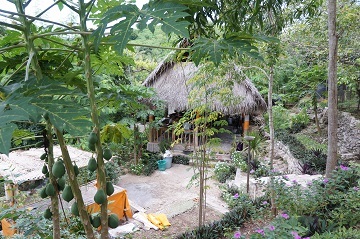 By volunteering with us you get to stay in a unique environment, take part in conservation and community development work, and provide funds that help FNPF to continue its work. Nusa Penida is a small, beautiful, and unspoilt island, and has stunning beaches, amazing coral reefs, rocky hill terrain, sheer cliffs. Traditional Balinese village culture (farming, seaweed production, traditional ikat weaving, and religious activities) has been maintained, untouched by tourism. 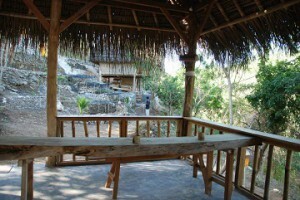 Very few western tourists visit Nusa Penida. You won’t find hotels, bars or restaurants in this island. FNPF has been running its conservation and community development projects on Nusa Penida since 2004, with a focus on wildlife. Rebuilding populations of endangered Indonesian bird species, including Bali’s emblem bird, the Bali Starling (Leucopsar rothschildi, also known as Rothschild’s Mynah, Bali Mynah, and Jalak Bali), has been one of our main activities. By motivating and mobilizing community protection of birds from all 46 villages on the island, FNPF has transformed the whole island of Nusa Penida into a unique bird sanctuary where endangered birds can be released by FNPF to live and breed safely in the wild. Each village has passed a traditional regulations obliging residents to protect birds from poachers and bird traders. Elsewhere in Indonesia, bird poachers remain the greatest threat to endangered birds. We are now working with selected villages to extend this community-based protection of wildlife to include sea turtles. One village has agreed to work with FNPF to monitor and protect the turtles, and replant the mangrove trees. Have have build a monitoring post and are considering starting a turtle hatchery similar to the one we run in Kalimantan. In return for the community-based protection of wildlife, we sponsor children to attend school and university; runs a community library; funds traditional dance classes; teaches sustainable farming; grows and freely distributes tree saplings for villages to generate future income from agro-forestry; and plants trees on degraded land to restore forests. Education and economic improvements that are in harmony with the environment enable the local communities to improve their well-being and participation in conservation. The restoration of forests reduces soil erosion, increases rainfall and provides economic benefit to residents and a habitat for birds. The view from our dining area. Once you arrive in Bali, catch a local boat from Sanur or Padangbai to Nusa Penida. For more details, see our FAQ page. Volunteers participate in general volunteering activities, and project specific activities (see below). The design and creation of marketing / education brochures and posters describing FNPFs work, for display at the Nusa Penida Centre and the office in Ubud. Writing grant proposals to raise funds. The type of activities that are offered by FNPF depend on the time of the year (we plant during the wet season), the amount of time available to plan your activities (teaching schedule in local schools need to be agreed in advance with the teachers), and your specific skills and interests. Our goal is for you to help us, whilst also ensuring that you have an enjoyable and interesting experience on Nusa Penida. You will also have enough spare time to enjoy the island. The island is large, so it is best to rent a motorcycle. We also have some bicycles available for your use. Please contact us via email if you are looking to do more formal scientific research. For more information, please click here. In general, we would like volunteers to work with our staff during the mornings and then use their free time to enjoy the island. 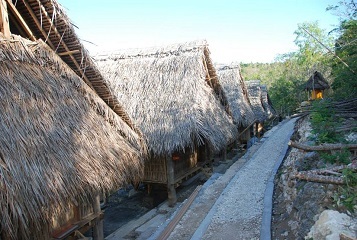 We encourage you to visit the many villages on the island, because this is an important way of showing the local population that FNPF is bringing tourists to Nusa Penida. Volunteers generally work for 3 – 4 hours a day on the afore-mentioned activities. In addition, we invite locals to come to the FNPF Centre in the evenings to practice their spoken English and we request that volunteers are available to provide conversational English classes. Lastly, we welcome any specialist skills that can help our work. According to the availability of volunteers with specific skills, we can organize specific events, such as music and yoga classes for the local youth. Overall, we ask for a pro-active attitude and we are seeking volunteers who want to participate and who are willing to find ways to help. Note that our staff-members are locals from Nusa Penida. They will often be too intimidated to ask a western volunteer to do work. Therefore, it is partly up to you to pro-actively ask them what you can do to help. Volunteers will stay at the FNPF’s center, which is positioned on 1 hectare (approx 2 acres) of land, which is also home to our nursery, organic vegetable garden, bird rehabilitation facility, office and community library. The center is across the road from a beach which overlooks the Bali Sea. In this setting, you will be woken up by cockerels at sunrise, occasionally spot pigs and cows wandering around the terrain, and see the highly endangered Bali Starlings settling in the trees every afternoon. You can also go snorkeling and see the superb Balinese coral reefs, or just enjoy the beach. We have very simple but comfortable, clean rooms available for individuals and groups. 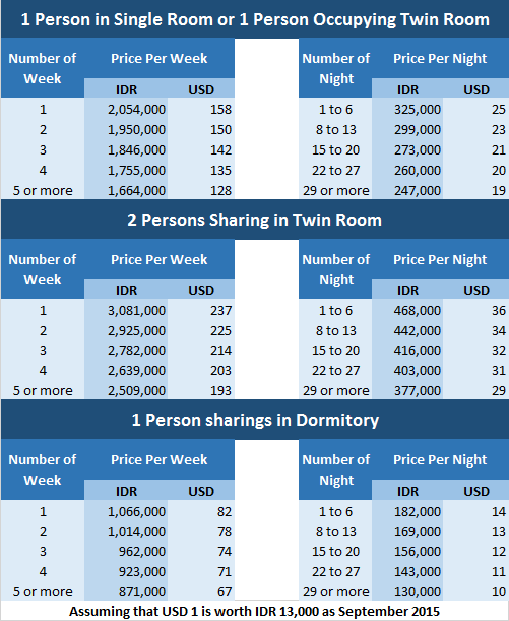 We currently have 4 twin rooms, 1 family room (double bed with 2 bunk beds) and a shared dormitory room with 4 separate beds. All beds have clean bedding (sheets, pillows and bedcover), mosquito nets, and rooms have an electric fan (no air-con). 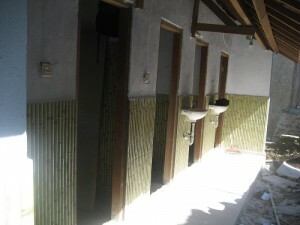 Our dormitory at Kubu Konservasi. A daily donation is needed to cover your costs and to contribute to running the FNPF facilities and projects. (See table below). The volunteer program will bring you an enjoyable and unique experience, and provides FNPF with a small contribution to fund our projects. Please see the table at the bottom of this page to calculate the cost of volunteering with FNPF on Nusa Penida. 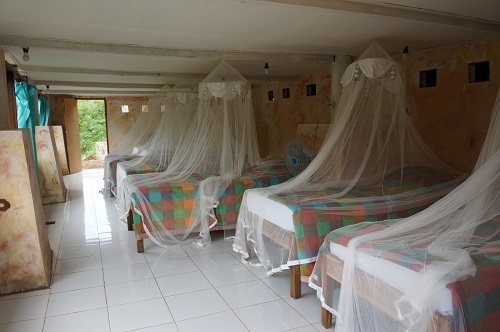 Note that FNPF can provide discounted accommodation for volunteers wishing to do scientific research. See below for the table of prices. Volunteers must cover all personal travel costs to and from Nusa Penida, and their own daily food costs. We do not provide food because we do not have the staff to cater, and also because we prefer visitors to support the local warungs (local restaurants) and shops on the island. There are several very good warungs close to FNPF’s Centre, where the average cost of a meal is approx Rp 10,000 – 20,000 (approx USD$1 – $2). You can also purchase fresh fish from the local fishermen and have a barbecue at the Centre. Clean bottled drinking water is available for free at the FNPF Centre. Please CLICK HERE TO APPLY and send the application form to info@fnpf.org. We will review your request and once we have processed your application, we will send you an email confirming availability. To secure your placement, you will be asked to pay a deposit of 50% to secure your place and 100% payment one week before arrival. Please note that we cannot secure a place without a deposit (we receive many requests to volunteer from people who change their plans). To pay your deposit, please click the DONATE button. If you are looking for some suggestions of much needed items you can bring and donate while on Nusa Penida, check out our wish-list – it’s pretty long and there are lots of ideas in there, but it is a wishlist after all.